Home » Healthcare » Is It Okay For Kids To Forgo Prescription Glasses And Use Contact Lenses? 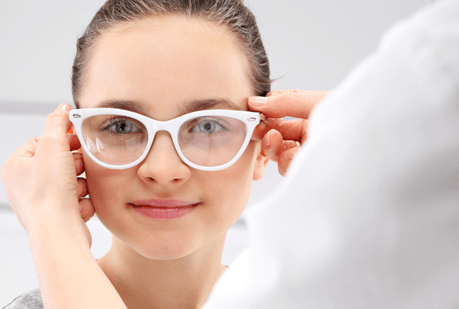 Is It Okay For Kids To Forgo Prescription Glasses And Use Contact Lenses? One thing that almost all kids have in common is that they don’t want to stand out because they’re different. If you have a youngster that is asking to forgo the eyeglasses in favor of contact lenses, you might be asking whether it is a good idea or not. There’s no doubt contact lenses are much more complex, especially for young kids. But overall, the biggest question becomes whether or not it is healthy for kids to wear contact lenses. Determining whether contact lenses are appropriate for your child or not depends on their maturity, not their age. Contact lenses are only good for a youngster who has good hygiene habits and understands the importance of eye health. There are some seven-year-olds who have the capacity to care for contact lenses, and some twenty-year-olds who are still not mature enough. It isn’t about the contact lenses themselves — they are all soft lenses these days — it is a matter of maintenance. The good news is that if your child is mature enough to handle contact lenses, there are times they can be a good option. If your child is involved in sports, contacts mean they don’t have to worry about their eyeglasses getting in the way or being broken. But if your child isn’t ready for them, then encouraging them isn’t a good idea for anyone. The biggest question to ask is if your child wants contact lenses for themselves or whether you want contacts for them. Are kids at increased risk for eye health problems from wearing contact lenses over glasses? The truth is that if a child is ready to care for contact lenses, then there are no more potential eye health consequences than if they are an adult. It is all in the way that they care for their eyes and contact lenses. If you are going to let your children choose contact lenses over eyeglasses, it is very important to instruct them on how to care for the lenses, and check to ensure that they are doing what’s necessary to keep them from harm. Don’t ever use plain tap water or put contacts in your mouth to clean them off. There are various types of bacteria in both tap water and saliva that could cause an eye infection. Make sure that your child only uses contact lens solution. When they take out their contacts, make sure that they don’t let them soak in saline. When storing in a case, use only cleaning solution. Don’t ever use the same contact lens container for more than three months. You should change the lens case every quarter. If you use it for more than six consecutive months, then the risk of contracting an eye infection is five times greater than if you change the case every ninety days. What can happen if your child doesn’t follow good hygiene habits? If your child doesn’t follow the proper techniques for changing and cleaning contact lenses, bacteria can potentially be introduced into the eye that can reach the corneal epithelium, which is the outer layer that covers the cornea. Not only will that lead to a painful infection; if not addressed in time, it could lead to blindness in extreme cases. If you notice that your child’s eyes are red or they complain of eye pain, it is imperative to seek medical advice from an ophthalmologist. Are disposable contacts recommended for children? Daily disposable lenses mean that users throw away the lenses daily and put in new ones. It is a much more expensive course, but may benefit a child who isn’t prepared to go through the rigors of removing contact lenses and cleaning them nightly. They’re an advantage if you are willing to pay the additional fee, because they might minimize the risk of infection from not being cleaned properly. Daily lenses also can ensure that your child doesn’t try to stretch out wearing the lenses for more than a day and increase the likelihood of introducing bacteria. Contact lenses take specific care and motivation. It’s not really about age; if your child is prepared to care for their contact lenses and wants to have them, then it is reasonable to give it a try. Just make sure that your child knows what they are doing, and check up on them to ensure that they are following through with the care requirements to save their eyes and their vision. For any questions or if you would like to learn more information on the subject, contact a prescription lenses Winnipeg professional for assistance.